Prime Minister Narendra Modi is scheduled to visit Amethi, the high profile parliamentary constituency of Congress president Rahul Gandhi, on February 27. This comes in the backdrop of the grand old party appointing Gandhi’s younger sister Priyanka Gandhi Vadra as the Congress’ general secretary in charge of Eastern UP, which includes Varanasi, the parliamentary constituency of Modi and Gorakhpur. 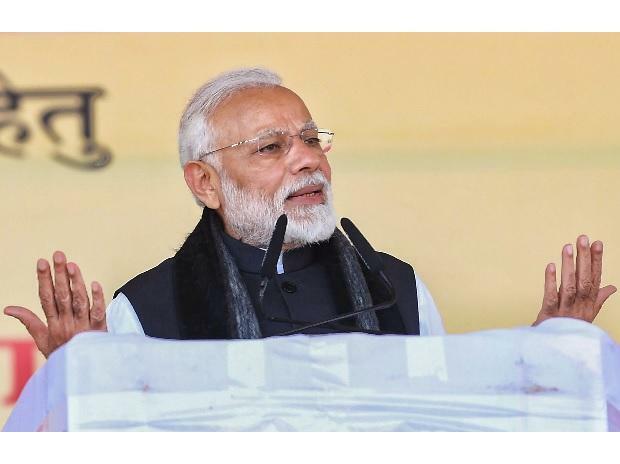 On December 16, 2018, Modi had visited Rae Bareli, the constituency of United Progressive Alliance (UPA) chairperson Sonia Gandhi and gifted development and infrastructure projects worth more than Rs 1,000 crore and announced that the local Modern Coach Factory (MCF) would be upgraded to global standards. It was Modi’s maiden visit to the constituency as the country’s PM. Interestingly, Modi would be visiting Amethi for the first time as PM although he had addressed a rally in the constituency in run up to the 2014 Lok Sabha polls, which the Bharatiya Janata Party (BJP) went on to win with a comfortable majority, thus replacing the Congress led UPA government at the Centre. According to the schedule, Modi would attend the programme of Hindustan Aeronautics Limited (HAL) at Munshiganj in Amethi and later address a public meeting. This comes amid vociferous allegations and counter allegations between BJP and Congress over the Rafale fighter jets deal over corruption charges. Congress had even alleged that the Modi government had tweaked the terms of the contract to benefit industrialist Anil Ambani at the cost of public sector HAL. Last week, Priyanka had stayed put in Lucknow for 4 days taking feedback of the party leaders and cadres before finalising the party’s strategy for the East UP region and taking on the BJP apart from the Samajwadi Party (SP) and Bahujan Samaj Party (BSP) alliance. Priyanka is also likely to visit Varanasi and Gorakhpur this month to take the fight to the traditional strongholds of the opposition camp of BJP. BJP is also trying to corner Congress in its turf of Amethi and Rae Bareli. Meanwhile, Modi is also scheduled to visit Gorakhpur on February 24 to launch the Centre’s flagship farmers’ minimum income guarantee scheme, projected to cost the exchequer nearly Rs 75,000 crore annually. The scheme, PM Kisan Samman Nidhi Yojana, was announced in Union Budget 2019-20 tabled in Parliament on February 1 to keep farmers in good humour before Lok Sabha polls and the backdrop of the opposition sharpening attack on the Modi government over purported farm distress. The scheme guarantees annual financial support of Rs 6,000 in three instalments to 125 million small and marginal farmers in India with land holdings of less than 2 hectares. Uttar Pradesh would be the biggest beneficiary with almost 23.5 million small and marginal farmers falling under ambit.